Beautify your pics with awesome image effects in our brand new app - Sketch Photo Editor! This cool app for editing pictures brings to you an awesome collection of beautiful pencil sketch effects that will give your pics an effect that only a professional artist can make. What's even better, in three simple steps you can generate over 1700 unique filters and effects for you pics and you don't need any professional picture manipulating skills. Combine the three buttons and choose an effect, a grid texture and a grid line width to make some serious photo drawing art! 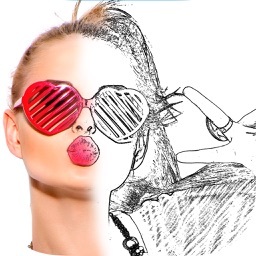 Blend different filters to come up with the best photo sketch! Show that you are a real enthusiast when it comes to picture sketching, download Sketch Photo Editor for free and check all the cool features this app for picture editing has! 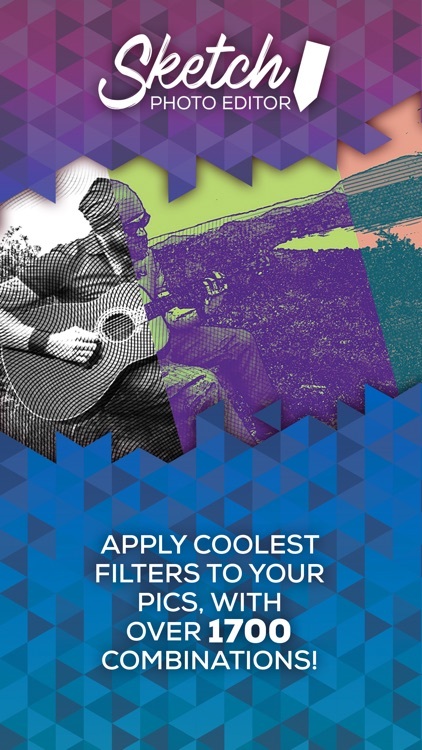 * Create your own filters for photos! 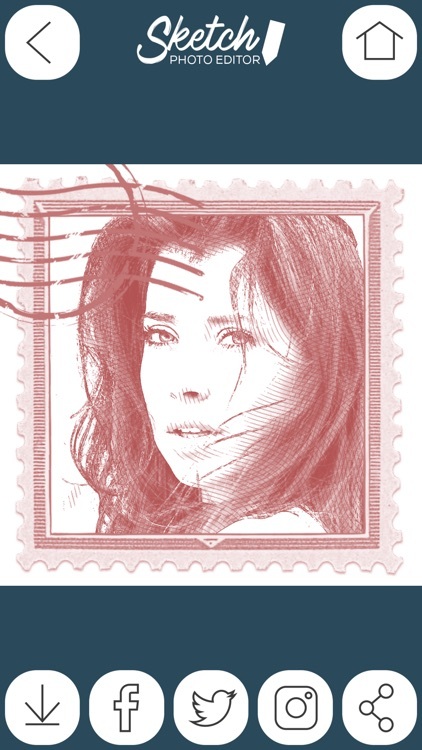 * Choose effects, grid textures & width of grid lines! * Make over 1700 different picture filters! * Convert photo to sketch! 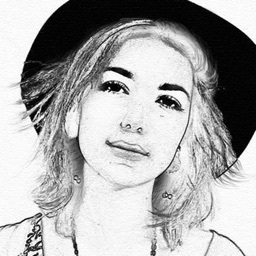 * Create black and white photo effect or make a color pencil sketch! * User friendly image editing software! 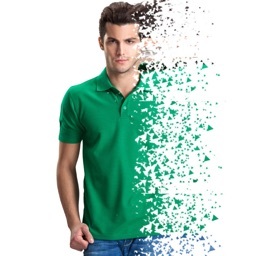 * Use any of your old pics or take a new picture! * Try out all artistic photo filters! * Save to your phone gallery! * Share on social networks like Facebook, Instagram or Twitter! 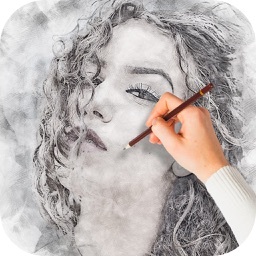 Create realistic photo sketch in an instant and admire the beautiful effects and filters this picture sketch app. The best free photo editor will make a pencil sketch out of any of your images. Once you are done, you can share your work of art to any of the social networks and make you bffs believe that you are a true master when it comes to sketching portraits. Now, with lots of artistic picture effects, you can finally convert photo to realistic sketch using images from your phone gallery or taking one at the spot. Sketch Photo Editor features incredible photo editing effects and enhancements for your images. Transform any picture into an impressive pencil sketch photo that looks like it was drawn by pencil. If you ever asked yourself the following questions: how can I sketch my photo? How do I convert a photo to a sketch? How to make my photo as a pencil drawing? Then we have the perfect answer for you. Download Sketch Photo Editor free of charge and find out how it feels like to have a real pencil drawing app that will make all of you images into beautiful drawings. Make a collection of many different photo montages and boast to you friends that you are a real photo drawing artist. Don't worry if you are not a real artist! Simply draw a picture on your smartphone or tablet in just several clicks and be amazed with the result! Download photo drawing editor for free and show the world some serious art! 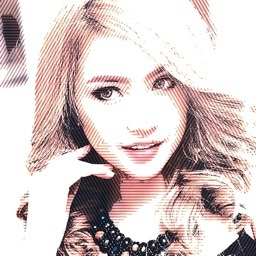 You can finally turn your pictures into a sketch easily by using this picture sketch app. Just pick an image from mobile gallery or camera and let this sketch photo generator do all the job for you. You no longer have to paint with your fingers to fx pics and make a mess of them, the photo editor drawing effect includes many sketch styles like brush paint effects or pencil sketch filters for pictures so you can pick and combine any of them to get cool photo effects. This is a must have photo editing software for all photograph enthusiasts who would like to have unique artistic pictures and want to share them on social media. Download Sketch Photo Editor for free and sketch it up with the amazing sketch app!